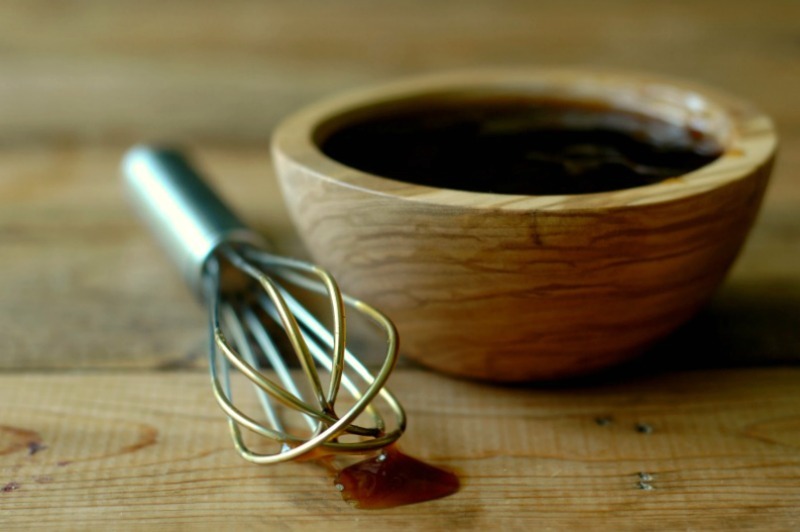 How To Make Soy Free and Refined Sugar Free Teriyaki Sauce :: Plus! 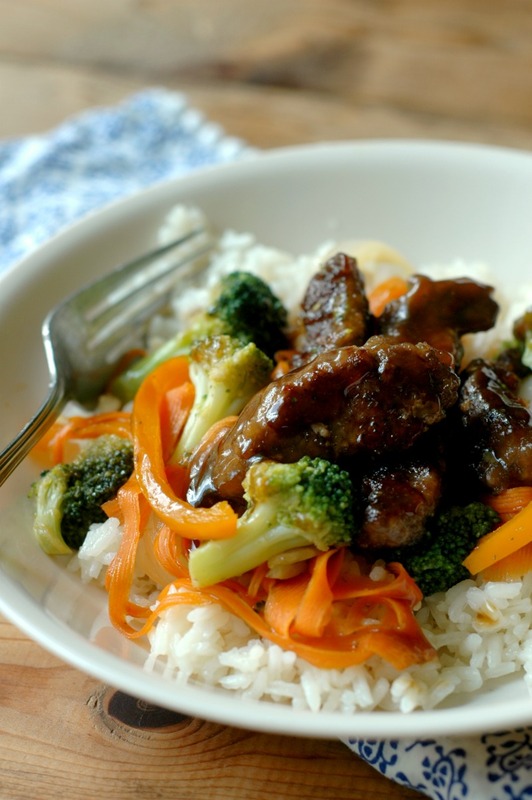 A 20 Minute Beef Teriyaki Stir Fry Recipe! 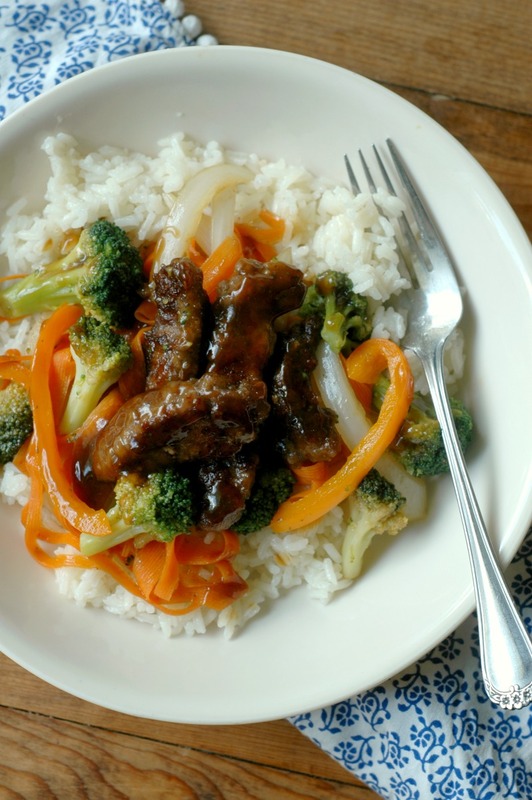 Learn how to make soy free and refined sugar free teriyaki sauce, and a bonus 20 minute beef teriyaki stir fry recipe for those busy weeknights! 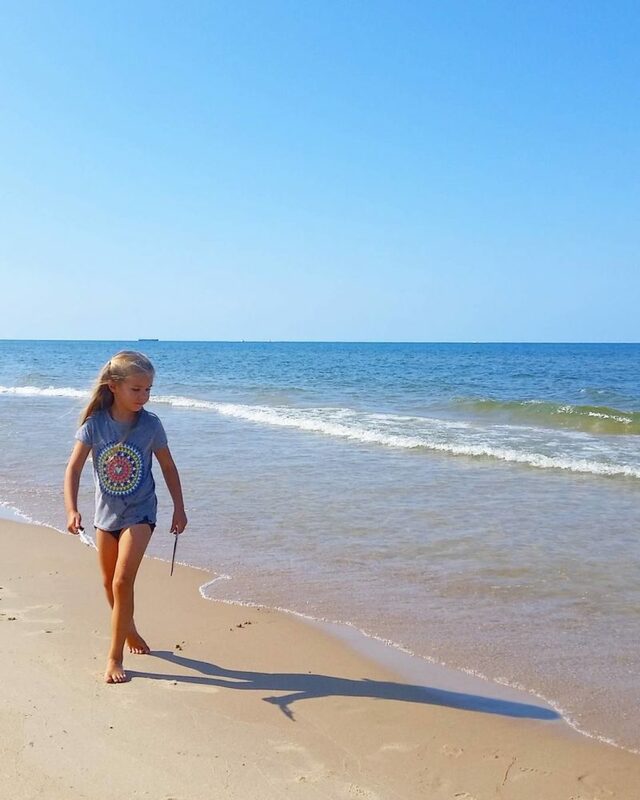 While most that are unfamiliar with Michigan think we are buried in snow most of the year, the reality is…we have just about the most amazing summer you’ll find anywhere on the planet! And while that snow *is* our reality about 3-4 months out of the year, having distinct seasonal changes is what keeps me in love with this place we call home. We are hanging up our body boards and swimsuits and welcoming the new school year with open arms! The new school year brings a different kind of busy to our house. With 3 young children, we kept pretty “busy” all summer long, but the school year type of busy is just a little different. There are places to be *on time*, lessons and practices to be *on time*, and bedtimes that are not as flexible as the lazy days of summer. 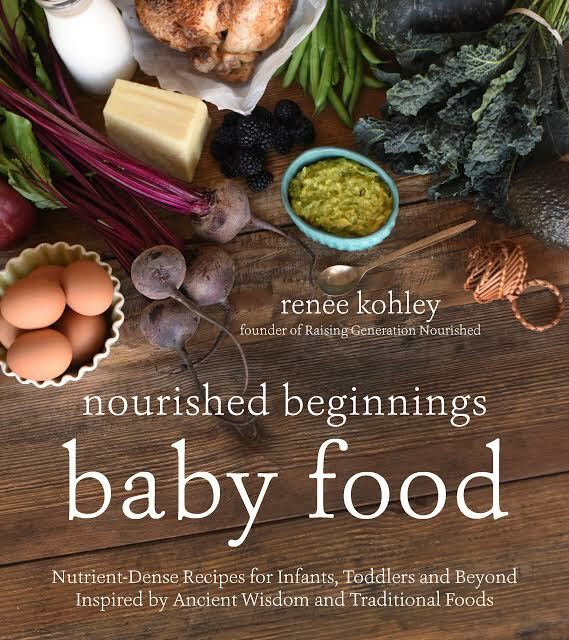 Efficient but nourishing is the name of my game! I know many of you picture this foodie blogger momma floating around the kitchen all day preparing elaborate meals for her family. That is just not my reality! This house is about as real as it gets, and as a work at home mom with kids that need to be taken to and from school, as well as still has a little one that isn’t in full time school yet…well, dinner needs to be efficient. But how do we make a quick dinner, and still meet those goals of using real food instead of convenience foods? My veteran momma school year dinner prep tips! Well, maybe not veteran, but I do have a few years under my belt with school aged kids, and I have learned a few things about dinner time during the school year that I hope will help you. Make weekend meals stretch into the weekdays. 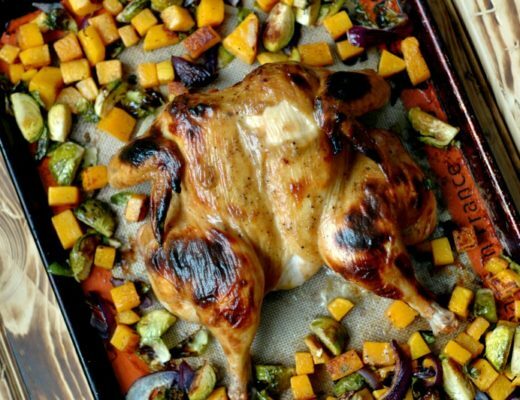 Plan your big roasted chicken for Sunday dinner, and use the leftover meat for a stir fry on Monday. 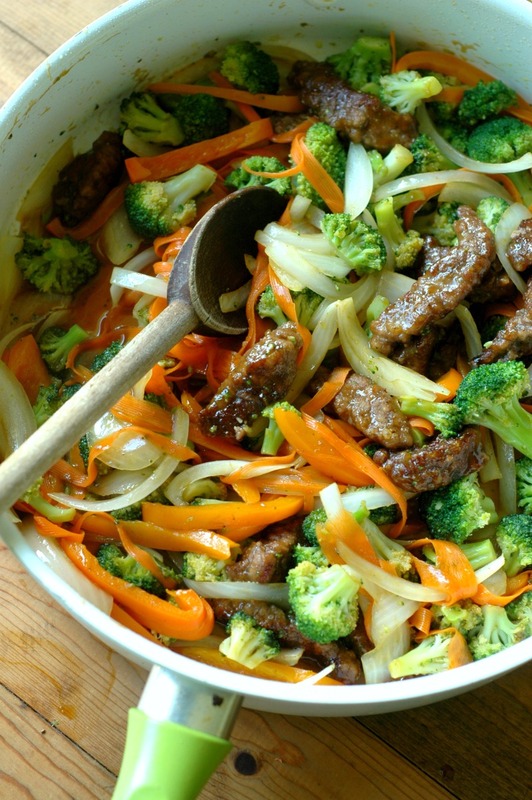 Plan a doubled up stir fry on Saturday or Sunday and use the leftovers for dinner on Tuesday. You get the idea. Take a good 1-2 days out of that 5 day work week to use leftovers, and the week of dinners will feel less daunting. Take 5-10 minutes before bed to prep anything for dinner the next day. Again, it doesn’t take long to chop veggies, but that 5 minutes of time is precious on a school night. Chop your veg, slice meat (or get it marinating! ), peel garlic, and make that dinner prep fly by the next day. You can even do things like make the rice for this dinner meal the night before. This could be considered one of those “little things” from the above point. If you know you eat rice 1-2 times per week, make that rice up while you are having your prep time in the kitchen over the weekend. And a quick tip for work at home or stay at home moms! I know this isn’t everyone, but since I fall in this category, I do have a tip to share for my friends in this place. Make dinner before school gets out – or at least have it ready to go, on a sheet pan, chopped, half way made, etc. I don’t know about you, but my kids are starving after school, and a lot of times we just go ahead and have dinner when they get home around 4pm. Most days, I make dinner when I put my toddler down for her nap so it can run quick without interruption, and I’ll just warm it back up when the kids get home from school. Again, I understand this is not do-able for every momma. If you are a work outside the home momma, we would absolutely love to hear your tips and tricks for dinner time in the comments! Sticky and sweet teriyaki sauce will make just about any hesitant stir fry eater in the house change their minds! Most teryaki sauces you find on the market or in restaurants are loaded with corn syrup or sugar. In just about 5 minutes, you can make your own teriyaki using natural sweeteners, and it seriously tastes like anything you would love right out of a restaurant! 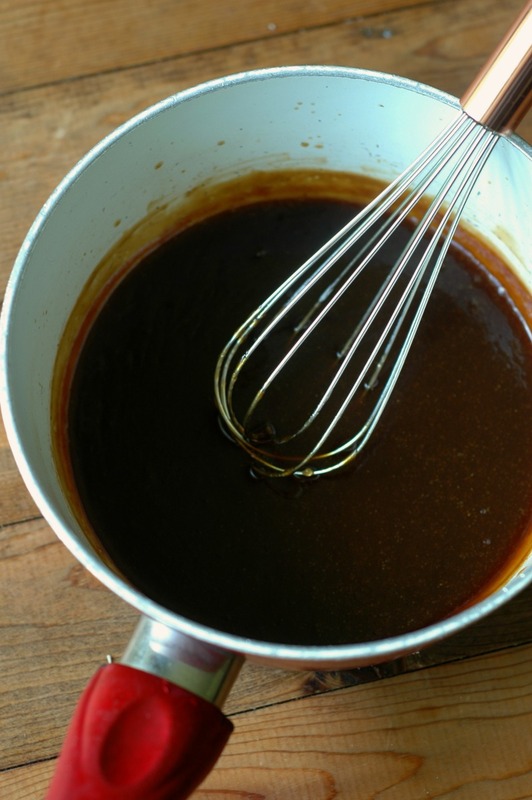 Learn how to make soy free and refined sugar free teriyaki sauce. 1/3 cup coconut aminos Most health food stores carry this now. It tastes just like soy sauce, so you can avoid the soy! Put everything except the arrowroot slurry into a small sauce pan and bring to a simmer for 2 minutes. Add the arrowroot slurry and whisk until the sauce thickens. This will take less than a minute. Pour your sauce over any stir fry! You can freeze your sauce in ice cube trays or small freezer containers too. 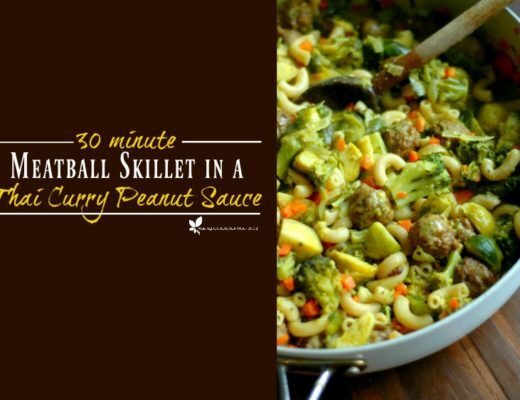 This recipe makes a little over 1 cup of sauce – enough for 1 family sized stir fry. So I’ve got my 5 minute teriyaki sauce made…now what??? Well…you make a stir fry with whatever is in season near you! Here’s a quick template recipe, but it is really forgiving. If you have chicken instead of beef, use that. If you have different veggies on hand, swap them out! Make the teriyaki sauce, and set aside. See the above instructions for the 5 minute teriyaki sauce! Make the beef strips: Whisk the potato starch, sea salt, and pepper in a bowl and toss the beef strips in to coat. Melt your fat in a skillet over medium-high heat, add the beef, and cook until crispy, about 5 minutes. Set the crispy beef aside. Make the stir fry: Melt the friendly fat in the skillet over medium-high heat. Add the onion, pepper, and broccoli and cook for 5 minutes. You can cook this for an additional 5 minutes if you prefer your veggies softer. Add the garlic and carrot strips and cook another 3 minutes. Add the crispy beef and teriyaki sauce and simmer 3-5 minutes. Sea salt and pepper to your taste. You can serve your stir fry as is, or over a bed of cauli rice, bone broth cooked white rice, veggie noodles, or gluten free rice ramen. How to Make Balsamic Reduction, Plus a Quick Sheet Pan Dinner! SO family-friendly!! Love that texture! Great idea. Personally, since I couldn’t find exactly what I was looking for in the store, a few years ago, I started using coconut nectar, not aminos. 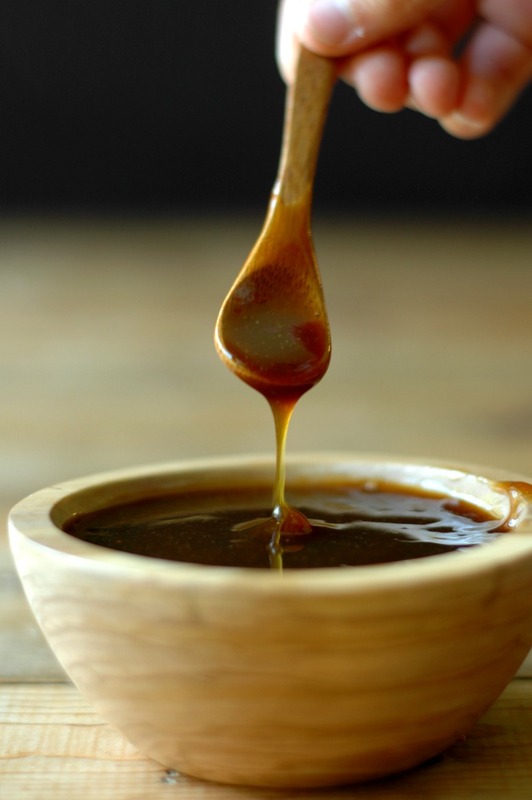 The coconut nectar is already thick and syrupy, as well as sweet, just like teriyaki sauce is. There’s no hassle, no cooking, no mixing, no added sugar, no soy, no gluten, etc…I love it. But your recipe sounds good, too. Thanks for the tip Denise! I haven’t had stir-fry with teriyaki sauce in FOREVER! I just refused to buy the pre-made bottles and didn’t even think about creating my own! I’m definitely trying this! Oh good! It is going to taste so good after not having it for so long! Ok, made this tonight… Renee, seriously. I haven’t had teriyaki sauce in YEARS, and this tastes EXACTLY like I remember. It was perfect! I’ll be making this regularly! Ahhh yes Lindsey! I’m so glad you enjoyed it! Love that beautiful saucy goodness!!! YUM! My family would love this, I can’t wait to make some. So perfect with that stir fry too! Haha! Thank you Carrie! Enjoy it! YUM.YUM.YUM! I think you’re a genius! I love teriyaki and coconut aminos so this is a win for me! Your texture and consistency look PERFECT! Oh wow! I am always on the lookout for good sauce recipes! I seriously love this recipe idea and have saved it everywhere 🙂 I haven’t had teriyaki for so long and this real food option makes it possible. Can’t wait to try! Thank you Monique! I hope you enjoy it! Love the use of molasses in this recipe – full of minerals and adds a smoky flavour! The photos are so gorgeous and appetizing! I’ve been looking for a clean teriyaki sauce at the supermarket and it’s been impossible! 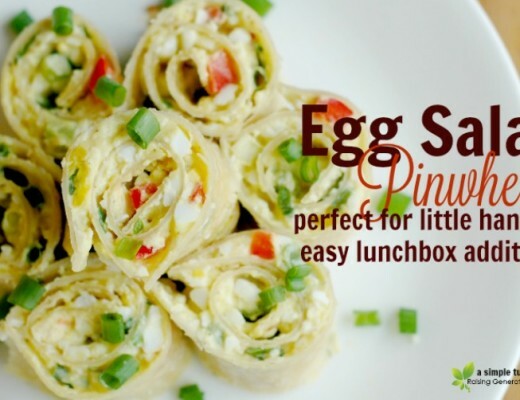 I love this healthy version, especially that it only takes 5 minutes. Looks so good! I love that this is soy free & sugar-free! I do so miss teriyaki sauce! You and I were in sauce recipe mode this week, lol. Hi Kellee! I’m so glad you enjoyed it! Teriyaki salmon for dinner is coming right up! 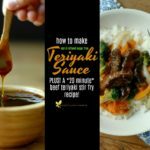 Thanks for sharing this recipe as I love a good Teriyaki sauce but often avoid it due to the sugar and all the other crap. This is a gem! Thank you Irena! Enjoy it! OMG! I cannot wait to try your teriyaki sauce! It sounds sooo good. 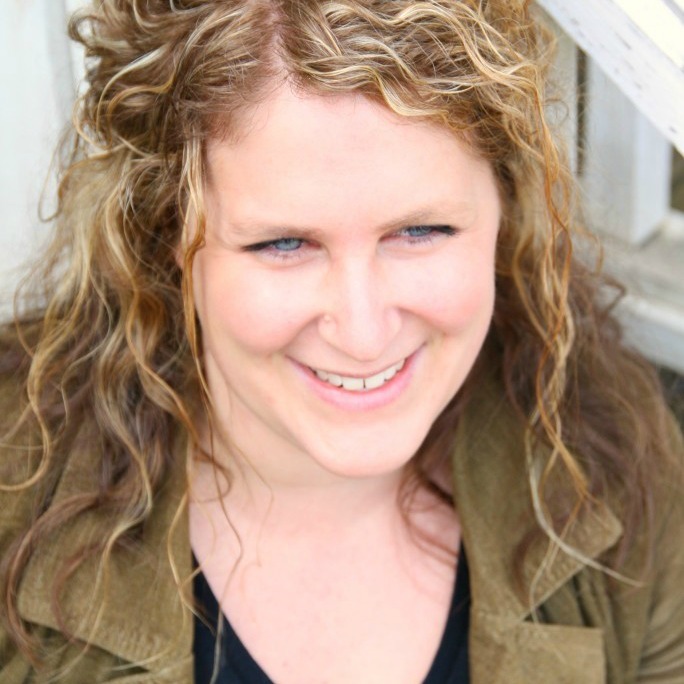 I love your tips for moms, even though I’m not one yet, I will definitely keep this post in the archives. So simple! I love how you used Molasses in your teriyaki recipe! This sauce is making me drool! In Canada we are much the same, 3 or 4 months of winter, I love all the berry and fruit picking you do with your kids! Thanks for this great and fast recipe! YUM !! totally delicious. Love this recipe ! What a fantastic recipe Renee!! Well done! YUM! This looks fabulous. My family is going to LOVE IT. I love teriyaki, but I never order it out anymore with all the sugar, so thanks for a super easy awesome looking healthy recipe!